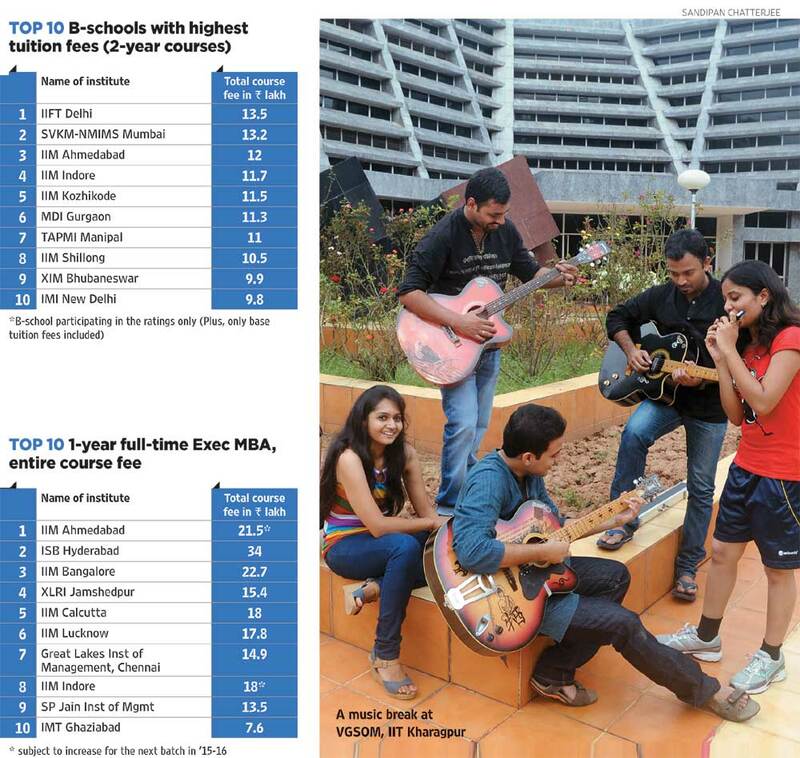 Our biz schools are certainly Indian-made. As hope crawls back in the market, an expanded list shows better numbers. There is a new slogan in town. One that highlights India’s capabilities and hopes to put India on the global map of manufacturing. 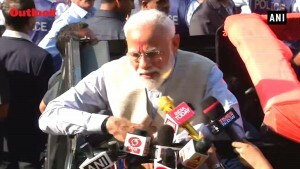 Across the country, Prime Minister Narendra Modi’s ‘Make in India’ call is bringing in hope that with a push for manufacturing, there will be a resurgence in the sector and that will naturally lead to job opp­ortunities and a vibrancy in the economy. Young MBA students Out­look spoke to in various business scho­ols across India are also optimistic that this new push towards manufacturing would turn things around. 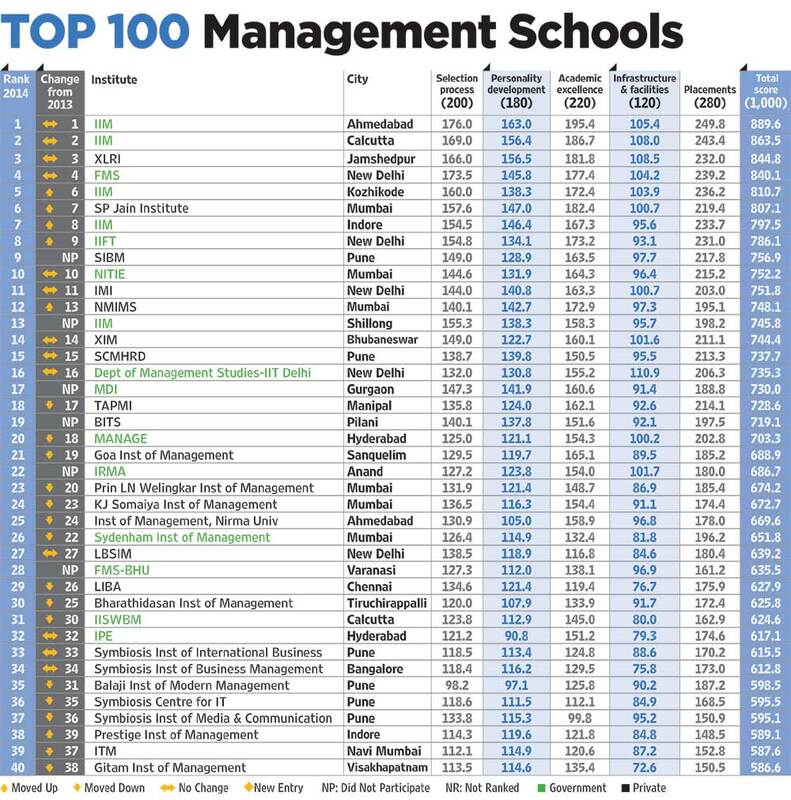 In this scenario, Outlook’s annual ranking of India’s best B-schools (conducted by Drshti Strategic Research Services) becomes relevant and provides a close look at this vibrant ecosystem which produces tomorrow’s managers and India’s business leaders. The optimism and excitement about the economy is reflected in a visible improvement in scoring by colleges at the top as well as the bottom of the ranking table as compared to last year. 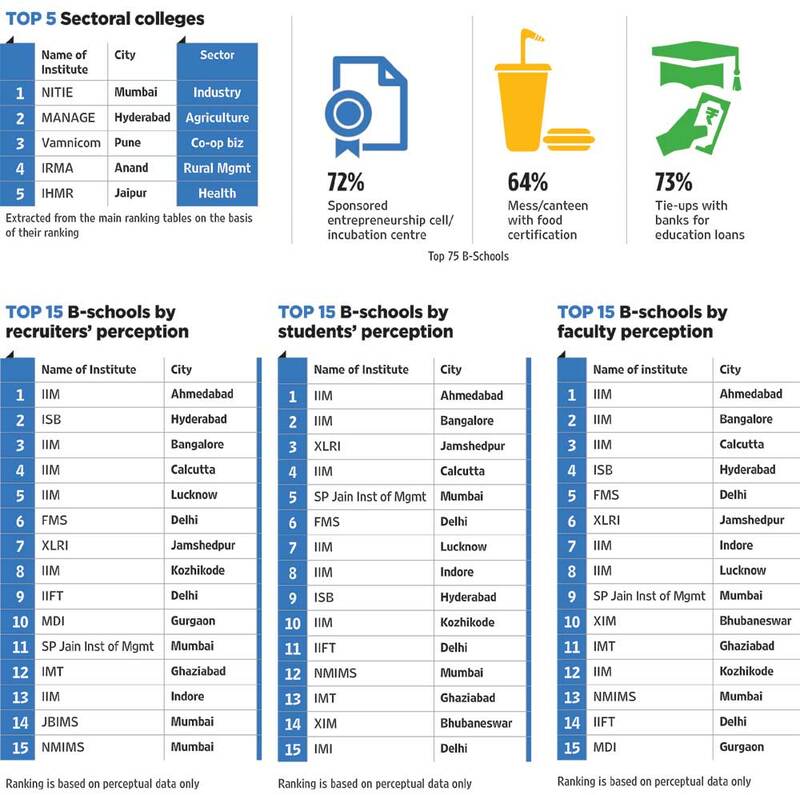 As expected, little has changed in the top 15 B-schools but, notably, there is a churn at the lower levels. There are also a bunch of new players who have made it to the ranking this year. 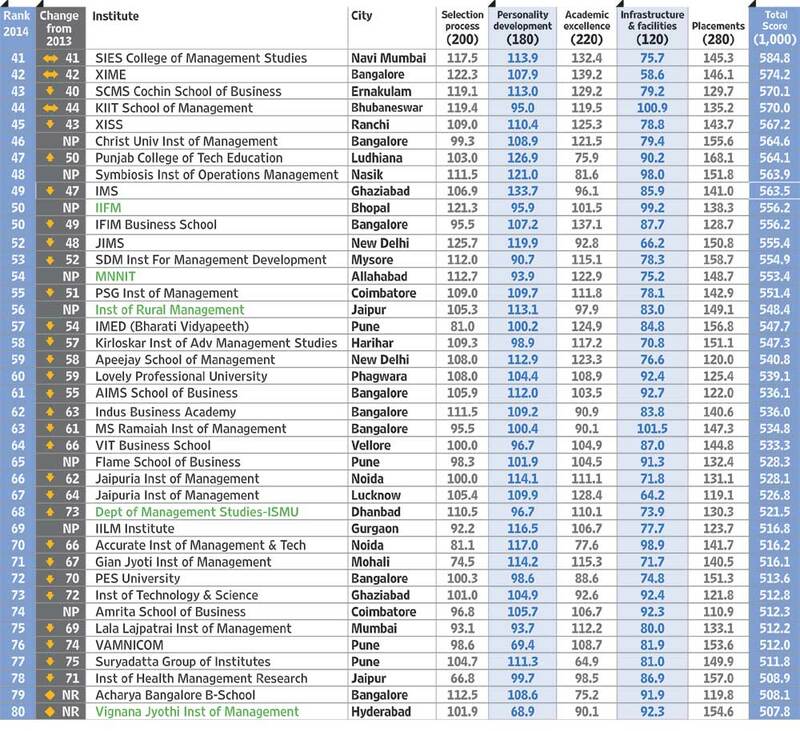 Looking at the robustness in participation by B-schools and the improvement in the overall quality of participating colleges, we have increased the ranking list from last year’s 75 to 100, with a complete breakdown on the leading institutes in various parameters. Outlook also takes a close look at whether India is capable of bringing global manufacturing to its turf, and whether it is prepared to do the hard yards involved in what it takes to bec­ome a manufacturing hub. Global manufacturers have been complaining about the complexities and difficulties in doing business in India, and about the difficult investment climate and the numerous processes one needs to go to start or run a business in India. Then there have been issues with policies, like retrospective taxes imp­osed by the UPA government and still in force, that have dented India’s image as an investment destination. More recently, the Supreme Court-mandated cancellations of telecom licences and coal blocks will accentuate this cautiousness and the sanctity of Indian policies will continue to be questioned. Add to that the lack of crucial infrastructure that is so vital to getting global manufacturers on Indian soil. So will India be able to turn things around? Can we take a quantum jump in manufacturing and show the world our capabilities? Our special issue on ‘Make In India’ takes a critical look at all these points, and more. We present a snapshot of Made in India case studies from across the country—small Indian companies that have withstood global challenges. There are also conversations with industry leaders who have established India’s name globally and proven that Brand India is a force to reckon with. And of course, we present the opinions of many experts, a large number of whom feel the India story has a long way to go. All told, we remain optimistic, but cautious. As always, choose wisely. 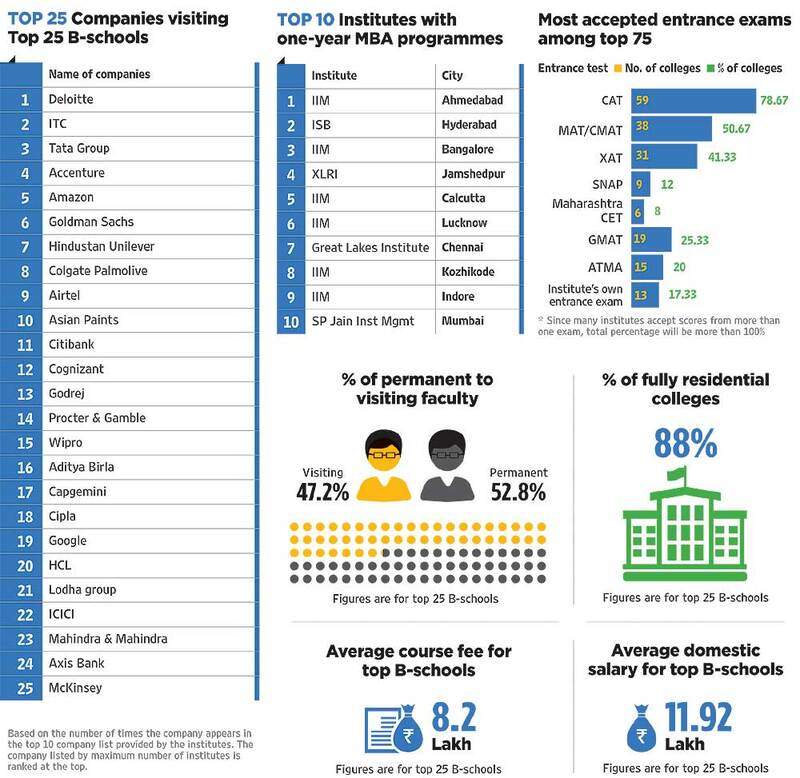 The initial task comprised drawing up a comprehensive list of B-schools. 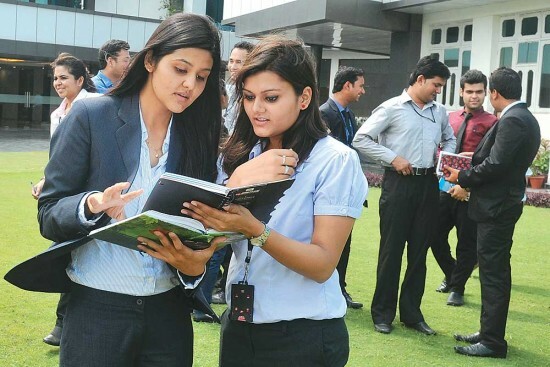 Only those offering a two-year full-time management course, and recognised by a government body such as the AICTE, NAAC and AIU were considered. They also had to be at least five years old and have a minimum of three batches to have passed out, to be eligible for our ranking. Parameters and subparameters that are considered essential when rating a B-school have been evolved in consultation with industry experts, and weightages assigned to these. Most of the parameters and subparameters have been kept unchanged from last year to ensure consistency and comparability. At the same time, there is a marginally increased emphasis on diversity, entrepreneurship, research facilitation and industry exposure, which seem to be gaining in importance among recruiters. Various colleges across India were contacted for participation, among which 144 colleges responded, providing their objective data within the stipulated time. This included 57 institutes which did not participate last year. 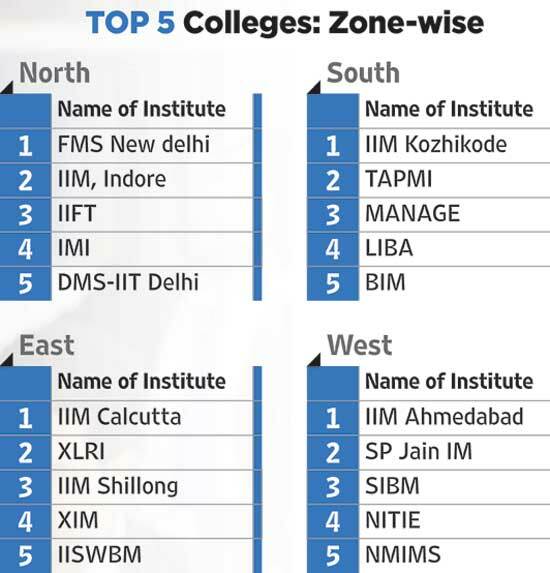 The objective survey was supported by a perceptual survey conducted among key stakeholders—students, faculty and recruiters in 13 major cities (Delhi-NCR, Mumbai, Chennai, Calcu­tta, Bangalore, Pune, Hyderabad, Jaipur, Lucknow, Bhubaneswar, Ranchi, Bhopal and Indore). Questionnaire-based, face-to-face interviews were conducted with 567 permanent faculty and final-year MBA/PGDM students of various B-schools. To avoid bias, students and faculty were requested not to rate their own institute. 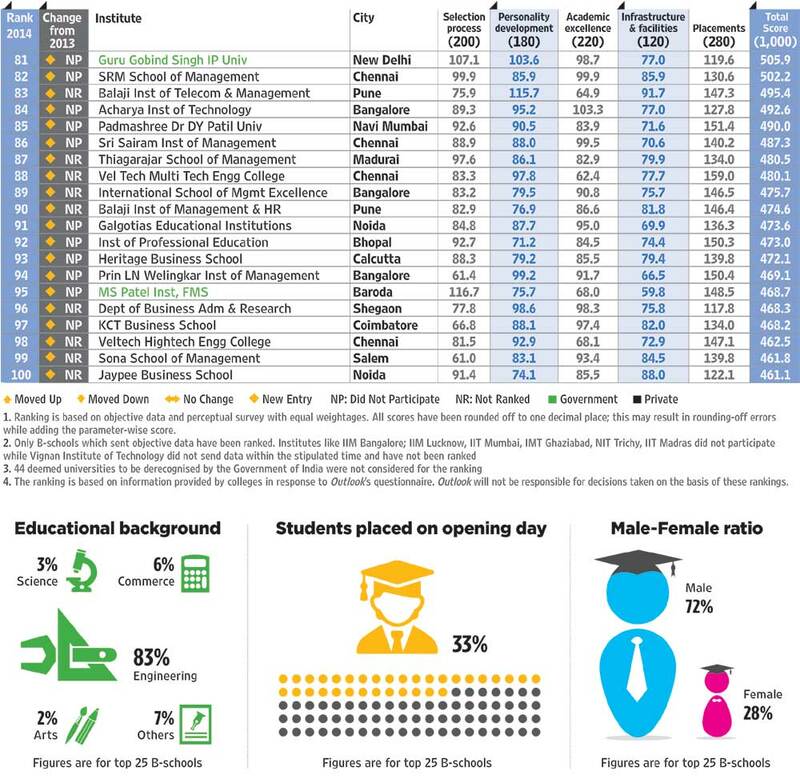 In addition, perceptual ratings of B-schools were obtained from 237 HR professionals. To ensure authenticity, an audit mechanism was also in place, involving phy­sical audits to verify the authenticity of the data provided by the colleges. Drshti researchers and trained field executives visited 40 institutes for this purpose. Colleges that gave suspicious and questionable data in response were removed from the exercise. To arrive at the final objective scores, marks obtained by colleges on the five parameters were derived on the basis of the data provided by the institutes and added tog­ether. 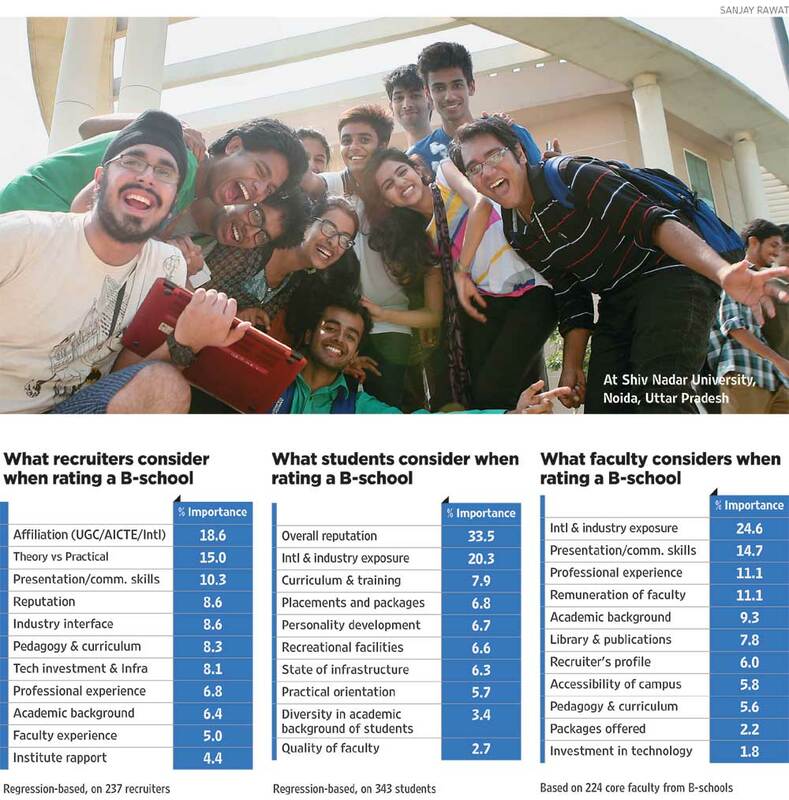 The perceptual ran­king was derived by allotting weightage of 40, 30 and 30 per cent to the perceptions of recruiters/industry professionals, faculty members and final year students resp­ectively. Next, to reach the final composite scores, total perceptual and objective scores were given equal weightage of 50 per cent each and the total score was combined to arrive at the final scores and the final rankings. The Drshti Research team consisted of Mukunda Giri, Shailendra Chaturvedi, Vyoma Shah, Angela Susan Kallor and Iti Agarwal.